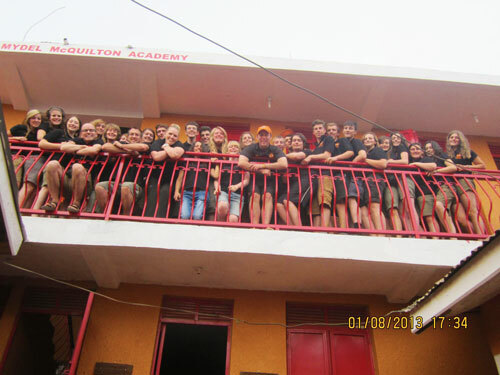 After donating to and supporting the project since 2009, the McQuilton family name will now live on in Uganda. One of the teachers, Mr Karran inventing a reason why Gordon needed to stay late at the hostel in the morning, the rest of the team were able to arrive early to set up a guard of honour before Gordon and his wife Claire arrived separately along with Mr Karran. As they walked in Gordon and Claire’s daughters Phillipa and Maggie stood under the new sign holding up the new uniforms which also contained the McQuilton family name. Gordon was reduced to tears upon realising that the entire family had been honoured and he spoke movingly about his passion for the project. 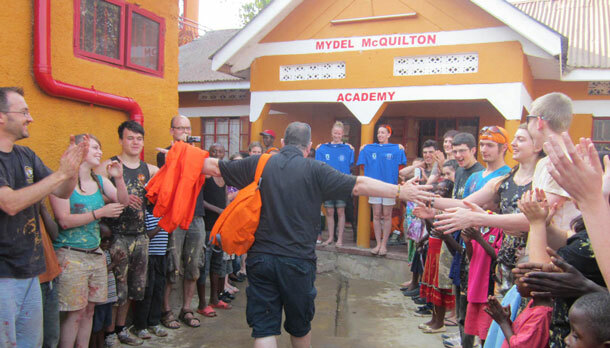 Gordon McQuilton SOS founder and family with some of the Mydel Academy pupils. SOS are so proud of the Tiggers (the name given to the volunteers) for their amazing work over the past few years. The students have made a massive difference to the lives of the children who attend the academy and those who will attend the academy in years to come. 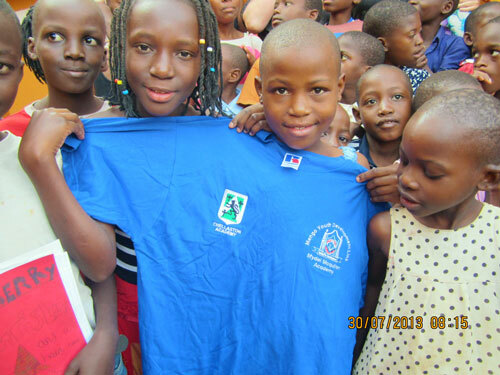 We are hoping to continue involvement with the next big Uganda project. 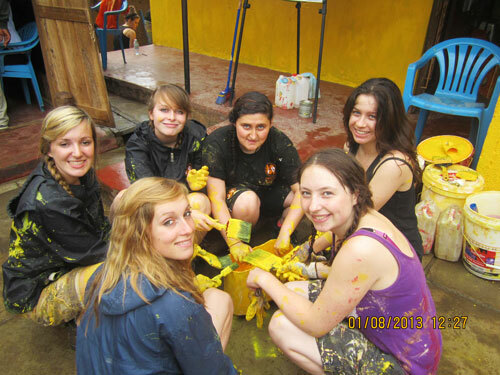 Chellaston School became involved in Uganda in 2007 when a group of sixth formers went out to begin work on a project. At the time this trip was down to a teacher at Chellaston School called John Dickens. Unfortunately John passed away before he could actually go out and see the fantastic results achieved by the volunteers. The first building that the Tiggers worked on was named John Dickens House in his memory. In 2009 SOS first assisted the school by funding a solar panel project. This enabled solar panels to be built on the roof of John Dickens House which was the first residential building built to house the orphans. This was the first time the building has ever had electricity so made a massive impact, providing power for lighting and equipment. Since then SOS has assisted with funding of other projects at both John Dickens House and at Mengo where the other site, now called the Mydel McQuilton Academy is situated. 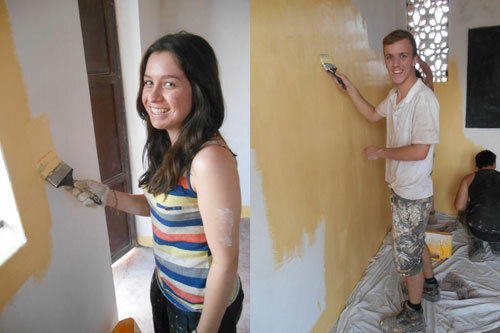 This year, the culmination of projects resulted in the upper storey being built by the Tiggers team, enabling classrooms to be located on the new upper storey. The upper storey was all built and completed in just 4 weeks, ready for use by the time the Tigger team left. An amazing achievement. 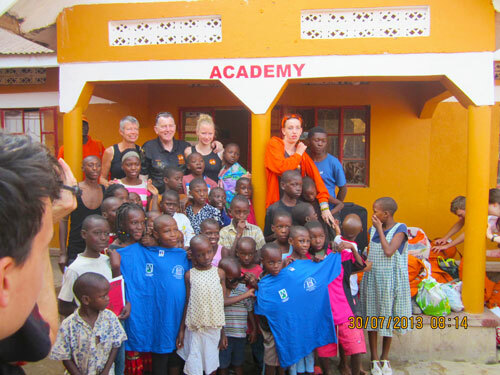 The Mydel McQuilton Academy now has dormitories for both girls and boys and now has its own classroom facilities with a permanent teacher being funded for the academy. This is obviously going to make a big difference to all the children living at the centre and another hundred children who come in on a daily basis to benefit from the facility as well. These projects are overseen by Richard Karen every year, he is the driving force behind the project helping co-ordinate the students efforts. Specialised Orthotic Services continues to support the Uganda projects both at John Dickens House and the Mydel McQuilton Academy. Provisional plans have been made for next year to completely rebuild John Dickens House and no doubt SOS will be involved in that too. If you would like more information about the project or would like to get involved contact us or get in touch with Chellaston School.